Recently passengers were forced to evacuate a flight at Barcelona airport after a passenger’s mobile phone, connected to an external lithium battery pack, burst into flames. It is a situation like this that makes us once again realize how very dependent we all are on electricity. Just about everything we use is powered in one way or another. 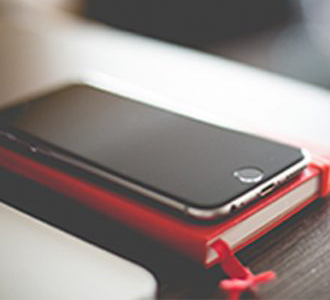 More and more mobile devices are used which get ever more powerful and combine various tasks in one single machine. With this increasing performance and consequently increasing energy consumption of mobile electronics, the requirements for battery performance increase as well. Li-ion batteries have become the leading technology to power portable electronic devices. In this family of rechargeable battery types, lithium ions move from the negative electrode during discharge and back when charging. Their main characteristics are high energy density, little if any memory effect and only a slow loss of charge when not in use. With these rapidly growing demands, efforts to develop new materials for batteries with larger capacity and energy density are ongoing at numerous facilities worldwide. A research group known for its excellence in battery technology research is the Laboratoire de Réactivité et de Chimie des Solides in Amiens (LRCS, France). In 2014 one of their PhD students, Matteo Bianchini, published an outstanding example of a detailed investigation of a potential new Li-ion redox system. We received Matteo Bianchini’s article ‘Multiple phases in the ɛ-VPO4O-LiVPO4O-Li2VPO4O system: a combined solid state electrochemistry and diffraction structural study’1 as one of the submissions for the PANalytical Award 2014. We were honored to congratulate Matteo for being the winner of this award. He was a young scientist at the beginning of his career and definitely a worthy candidate for this prize. The jury members reported how impressed they were by the comprehensive investigation which was carried out with a masterful understanding of crystallography. All 5 judges had listed the article as their number one. Matteo was delighted about the good news and told us that the prize money would certainly be helpful while looking for new scientific challenges as a postdoc abroad. He also explained his rather confusing affiliation to three different institutes: the Laboratoire de Réactivité et Chimie des Solides in Amiens would issue his PhD while he did his experiments at the Institut de Chimie de la Matière Condensée in Bordeaux. Finally, the Institut Laue-Langevin in Grenoble was funding Matteo’s work and the project. The award was presented to Matteo at the European Crystallography Meeting (ECM) in Rovinj, Croatia on 26 August 2015, where he presented his work to the professional community during a talk. It was a delight to see him there and hear details about his research. In this article, Matteo describes in detail the properties of a Tavorite-type vanadium oxyphospate LiVPO4O, a promising Li-ion system with interesting peculiarities. It has the ability to exploit two redox couples, V5+/V4+ and V4+/V3+. The researchers investigated the electrochemical behavior and the various 3-dimensional structures of the system by using in situ and ex situ X-ray and neutron diffraction. For the in situ diffraction study, a novel electrochemical cell has been developed. This way structural changes of the LixVPO4O (0<x<2) at various voltages could be followed. Finally, the triclinic structure of the end member of the reaction could be determined. 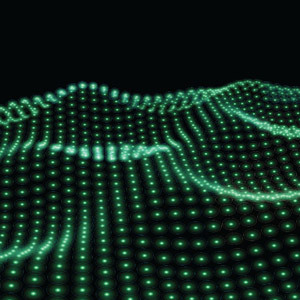 The detailed data allowed the researchers to plot a phase diagram for the material and led to a deep understanding of the properties of this redox system. Matteo’s dedication to advancing the technology of batteries is apparent. His 2018 publication in Journal of Materials Chemistry A details research on Na3V2(PO4)2F3, a promising material used as a positive electrode for Na-ion batteries. In situ crystal structure determination elucidated the mechanism of the Ag+/Na+ ion exchange and allowed the reporting of the crystal structure of the new orthorhombic phase Ag3V2(PO4)2F3. Read the abstract here2 . Bianchini, M., et al. 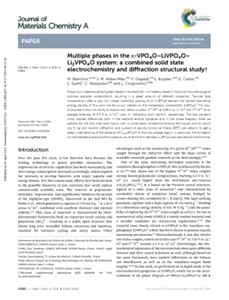 “Multiple Phases in the ε-VPO4O–LiVPO4O–Li2VPO4O System: a Combined Solid State Electrochemistry and Diffraction Structural Study.” J. Mater. Chem. A, vol. 2, no. 26, 2014, pp. 10182–10192., doi:10.1039/c4ta01518e. Bianchini, M., et al. 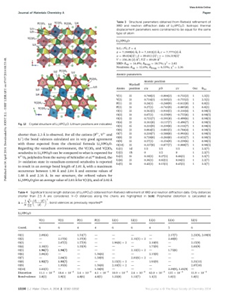 “Ag3V2(PO4)2F3, a New Compound Obtained by Ag /Na Ion Exchange into the Na3V2(PO4)2F3 Framework.” Journal of Materials Chemistry A, vol. 6, no. 22, 2018, pp. 10340–10347., doi:10.1039/c8ta01095a.